At Family Foot & Ankle Specialists we have a variety of treatment options. The most important part of your treatment process is to rest and ice your foot. It’s very important not to place any further stress on your foot. The ice will help the inflammation and reduce the pain. Rest and icing will help improve your pain tremendously. Proper fitted shoes and/ or extra padding in your shoes can help alleviate the pain. Orthotics are another treatment option. 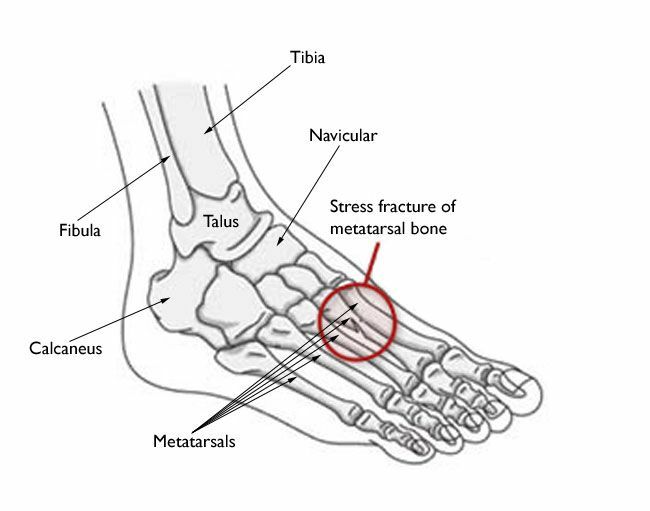 If the stress fracture is more severe, you may need a splint or cast. However, at Family Foot & Ankle Specialists it is our priority to get you back on your feet and retuning to your daily activities as quick as possible.